Personalized Western Art Calendars Custom Imprinted in Bulk. Promotional, Very Inexpensive. Lowest prices in USA and Canada. "Early Bird" special! Bulk discount Western Art calendars with "Spirit of the West" famous paintings, personalized with your custom imprint. Featuring original works by America's leading Old West artists, these paintings capture the sense of adventure and daring of bygone times. Lowest price in USA and Canada for wholesale promotional Western Paintings calendars. 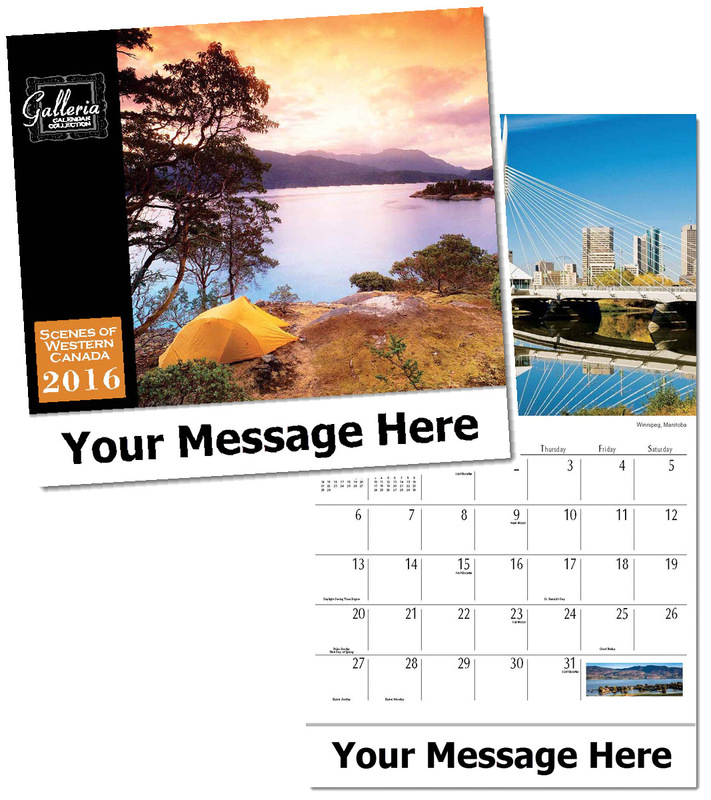 Our high quality, low cost personalized calendars include both American and Canadian holidays. See our "Early Bird" deep discounts on our Price Table below. American clients pay no taxes. Free artwork design and free proofs!